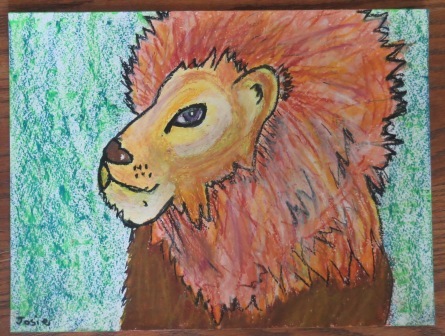 This entry was posted in Art and tagged childrens art, oil pastel, thrive online art school. Bookmark the permalink. Great job Josie! I think he is about to ROAR! Nice job on a very regal looking lion! Keep up the great work, Josie! Wow! This is beautiful, Josie! You have inspired T-man to try art lessons. He’s created some very nice pictures, too. I’ll see if I can get him to blog any of them this summer. When there’s no school, he doesn’t like to take time to blog. Thank you! I am glad you like it! Great job! I love all the colors in the mane. I LOVE this. You are a very talented artist.